Criminal Exploitation of Children: What is ‘County Lines’? ‘Criminal exploitation of children and vulnerable adults is a geographically widespread form of harm that is a typical feature of county lines activity. It is a harm which is relatively little known about or recognised by those best placed to spot its potential victims’. The gang activity is highly associated with violence, drug dealing and exploitation; having a devastating impact on young people, vulnerable adults and local communities. 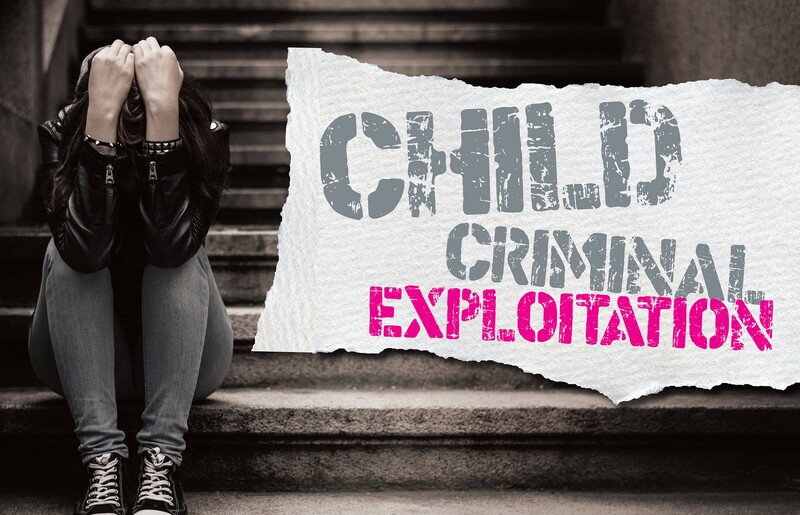 Gangs will use children, and vulnerable people, to move drugs and money, criminally exploiting them (CCE); they will also seek to establish a base in target locations, typically taking over the homes of local vulnerable adults by force or coercion – this is referred to as ‘cuckooing’. Use your local safeguarding process, the first step of which is usually to contact your designated safeguarding lead (DSL) within your organisation. If you don’t know who this is, refer to your manager. Your DSL has the responsibility for linking in with your local authority’s social care services. 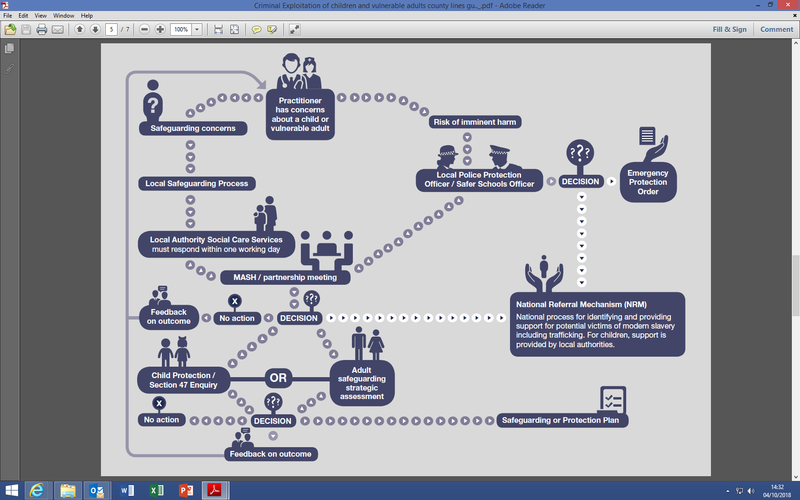 A flow chart is located in the links below which can support you with decision making.